(BPT) – Getting a diagnosis is just the first of many challenges patients with rare diseases – and their caregivers – face. Hannah Ostrea was diagnosed with Gaucher Disease type 2/3, a fatal rare genetic disorder characterized by brainstem dysfunction, loss of primitive functions such as breathing and swallowing, low blood platelets, and enlargement of the liver and spleen. She passed away at age three. 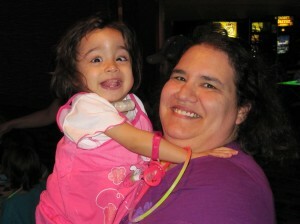 Carrie Ostrea is just one of the 350 million people worldwide who are affected by rare diseases. While Carrie’s experience caring for her daughter – from diagnosis to treatment – was unique, the challenges she faced resonate with many patients and caregivers facing a rare disease. Specific challenges and new insights are featured in a first-of-its-kind Rare Disease Impact Report, commissioned by Shire Human Genetic Therapies. This Impact Report identifies and quantifies the health, psycho-social, and economic impacts of rare diseases on patients, families, and the medical community. Rare diseases are conditions that affect a small portion of the population, but are often chronic, progressive, degenerative, life-threatening and disabling. While individual rare diseases are uncommon and disparate, collectively there are about 7,000 different types of rare diseases and disorders that have been identified. 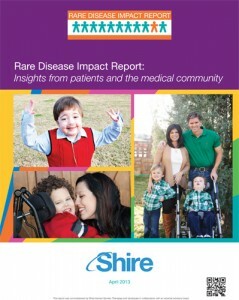 Visit www.RareDiseaseImpact.com to get more information and view the full Impact Report.